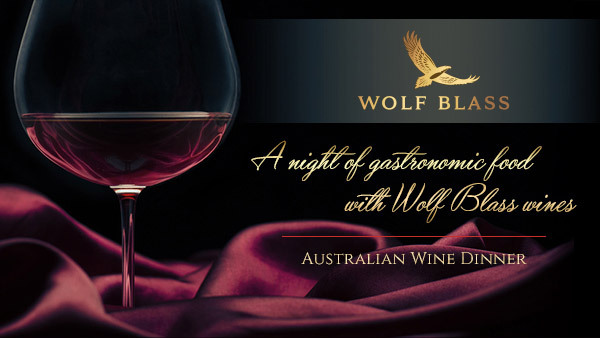 Our upcoming event, "A Night of Gastronomic Food with Wolf Blass Wines" will feature several exceptional Australian wines carefully selected to complement each enticing dish prepared by our talented culinary team. 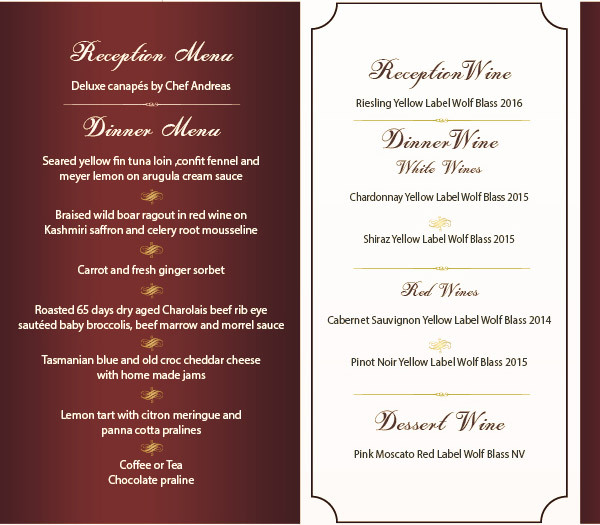 Wine lovers will have another chance to enjoy an excellent 5-course dinner and partake in the rich taste of Wolf Blass wines. The evening will commence with a cocktail reception at The Bar of the Royal Cliff Beach Hotel at 18:30 hrs and dinner will be served at the Royal Grill Room & Wine Cellar at 19:15 hrs. Wolf Blass is one of the great winemakers producing outstanding wines in Australia. Founded in 1966, it has a long and proud history of making award-winning wines utilizing age-old methods. Enhanced by a world-class winery offering innovative winemaking features, this blend of old and new allows them to create extraordinary wines. In 2015, Wolf Blass was named International Winery of the Year at the San Francisco International Wine Competition. This marked the first time in over 15 years that an Australian winery took home the award. It was also named 2016 Red Winemaker of the Year at the prestigious International Wine Challenge in London and has won over 8,500 awards to date. 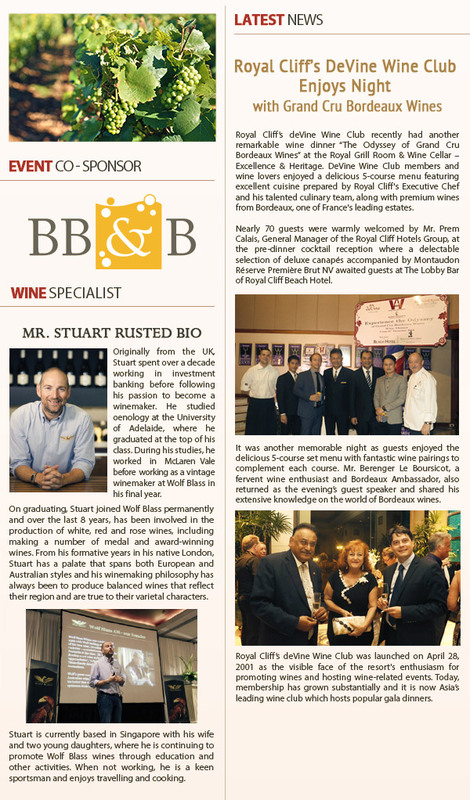 Mr. Stuart Rusted, an accomplished winemaker from Wolf Blass, will be our wine specialist for this evening. Over the last 8 years, he has been involved in the production of white, red and rose wines. His winemaking philosophy has always been to produce balanced wines that reflect their region and are true to their varietal characters. I am sure that this will be another unforgettable night to remember. We are once again delighted to invite you to this special evening where we taste and experience the variety and quality of the famous Wolf Blass Wines.